LOUDON, NH., October 3, 2018 —Plan Tech, Inc. selected to produce thousands of polyurethane protective covers for the automotive industry. These particular covers are a disposable item after assembly. Once the vehicle is processed and completed these protective covers are removed. These protective covers play a key role in keeping sensitive components free of paint overspray and any dust that may settle inside sensitive components. 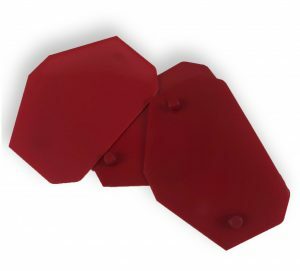 Also, our polyurethane protective covers can be designed and shaped to fit any surface feature, providing a high level of grip on flat surfaces while preventing load slippage. They are also puncture-resistant and form a protective barrier against chemicals and fluids that can be a source of corrosion. Whether Polyurethane Protective Covers are to be used indoor, outdoor or for industrial applications, our polyurethane protective covers can help prevent surface damage and delamination to the vital surfaces of your products and machinery. Polyurethane is a name synonymous with versatility.